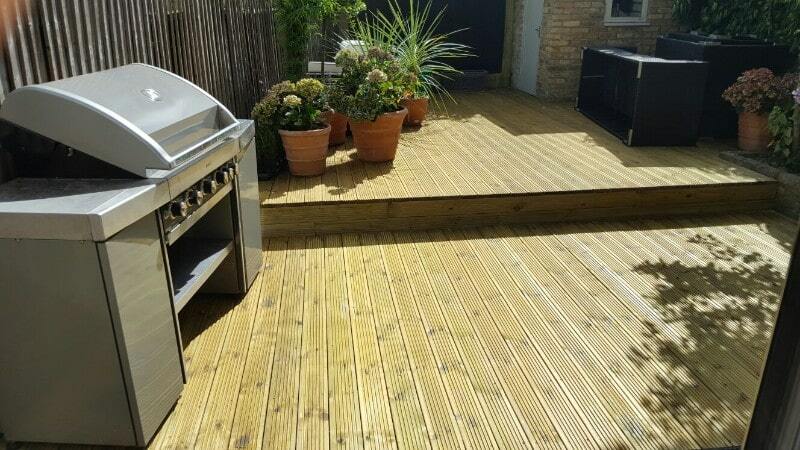 If you are looking for a place to relax and enjoy a summer barbeque, then there are very few things that can come close to matching the glorious feeling of grilling on your very own pristine decking. 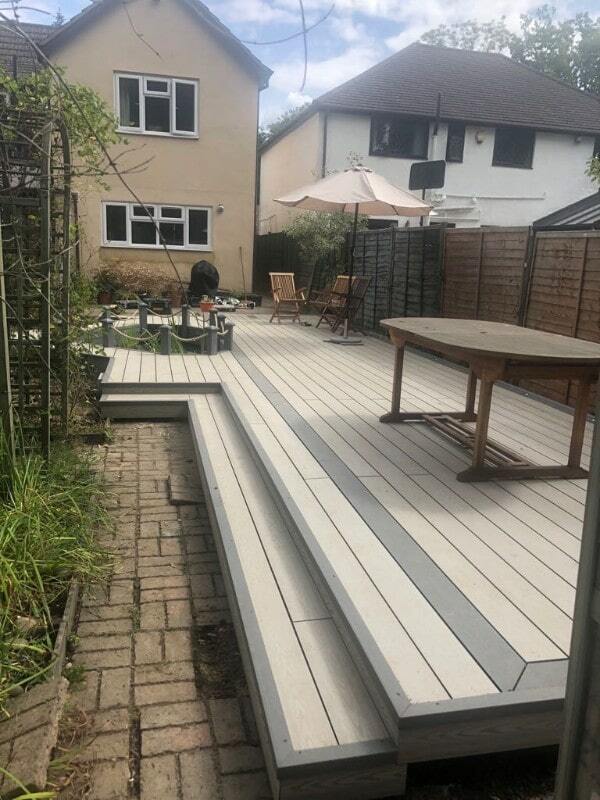 Whether you are looking for a simple, yet sleek, flat and single tiered deck for your garden or a complex design with multiple tiers and areas, our experts are the team you need. 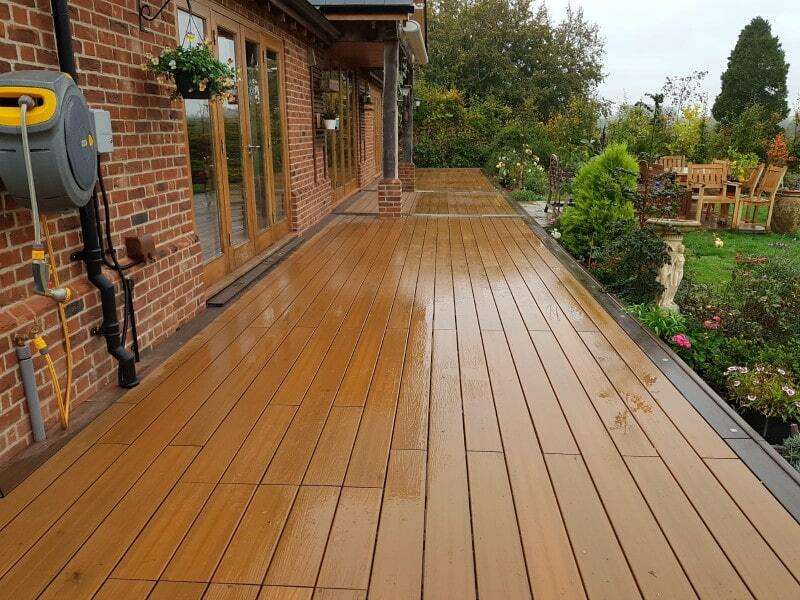 With many years of experience in the design and installation of decking, you can expect only the highest level of results from Proline. 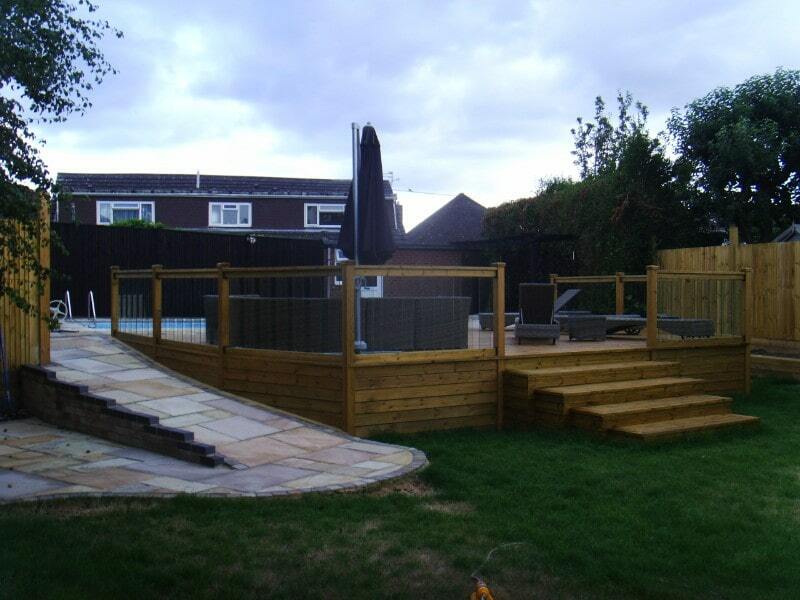 All of the work we complete is guaranteed and you can rest assured that it will remain durable and last a very long time. 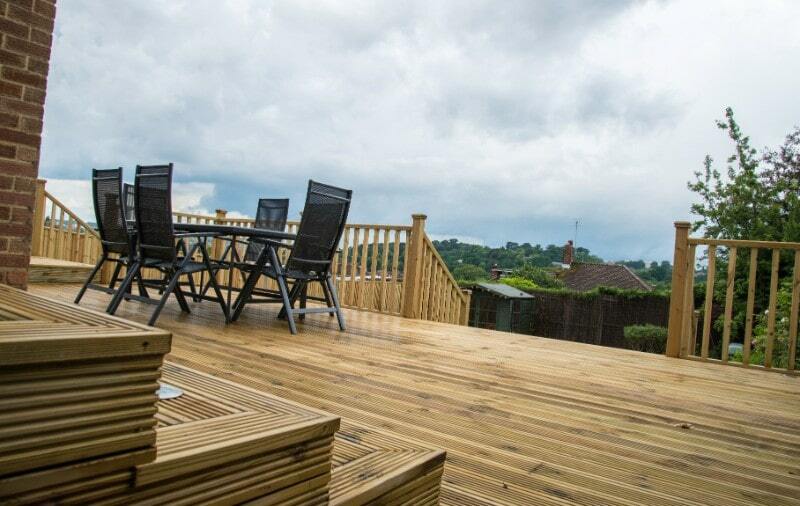 A deck can transform a garden, providing a great lounge and dining area or helping with the overall garden layout and access. 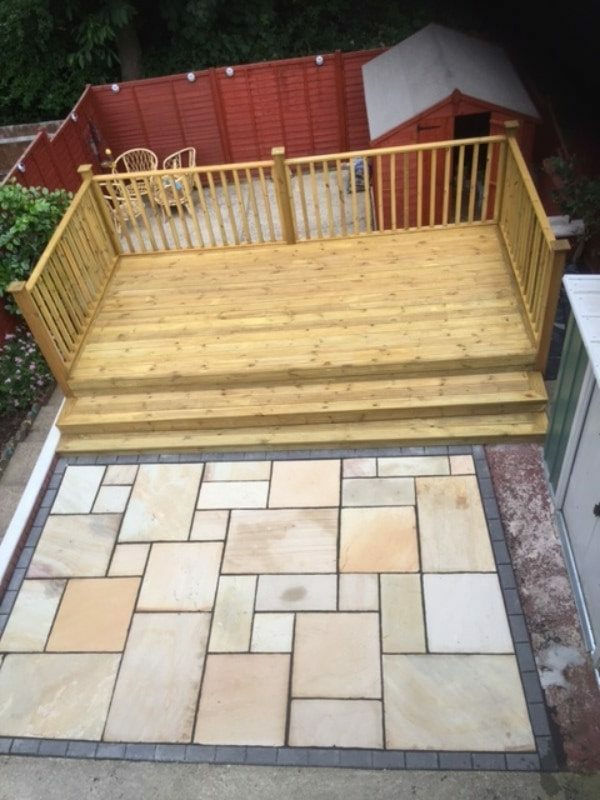 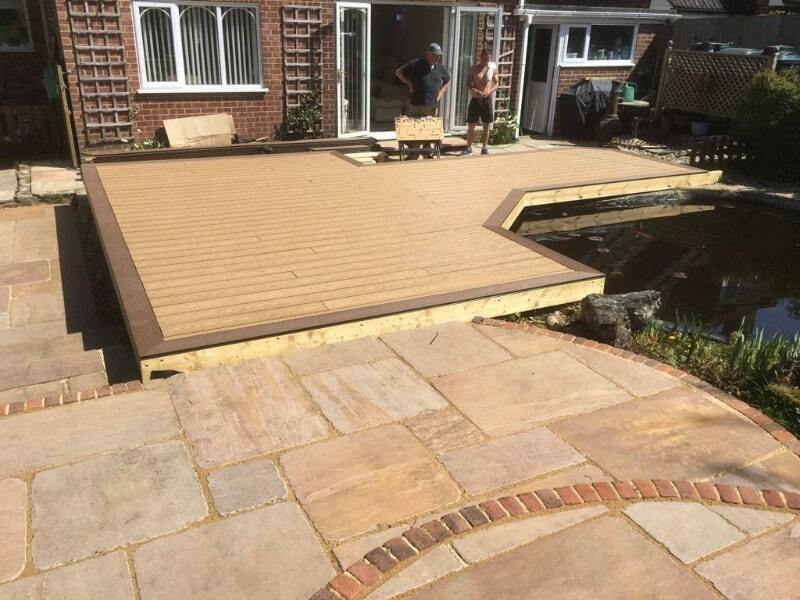 Our experienced installers can work with any garden to create a beautiful end result, so whether your garden is uneven, small or in need of some TLC we can work with you to find the best solution and we cater for all size projects from a small deck to large multi level constructions. 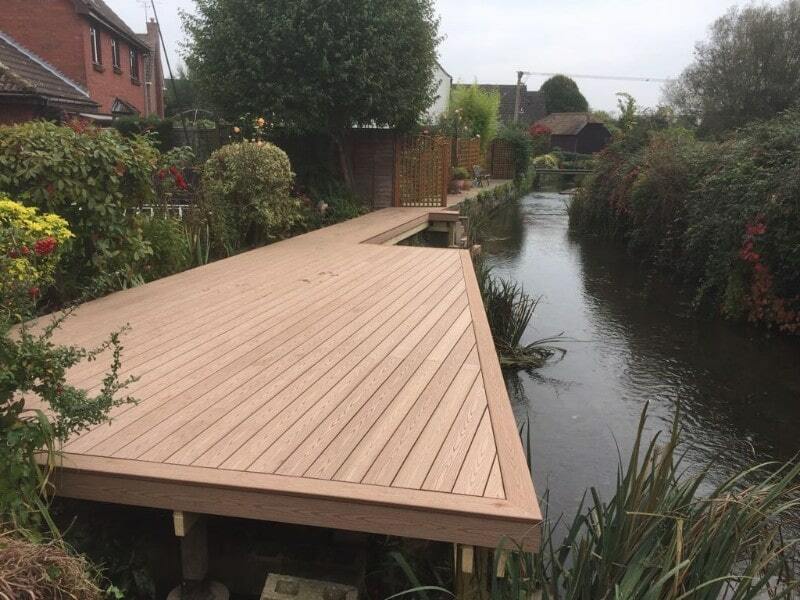 To ensure longevity we install all of our decking frames using specialist concrete deck posts and C24 construction grade timber joists. 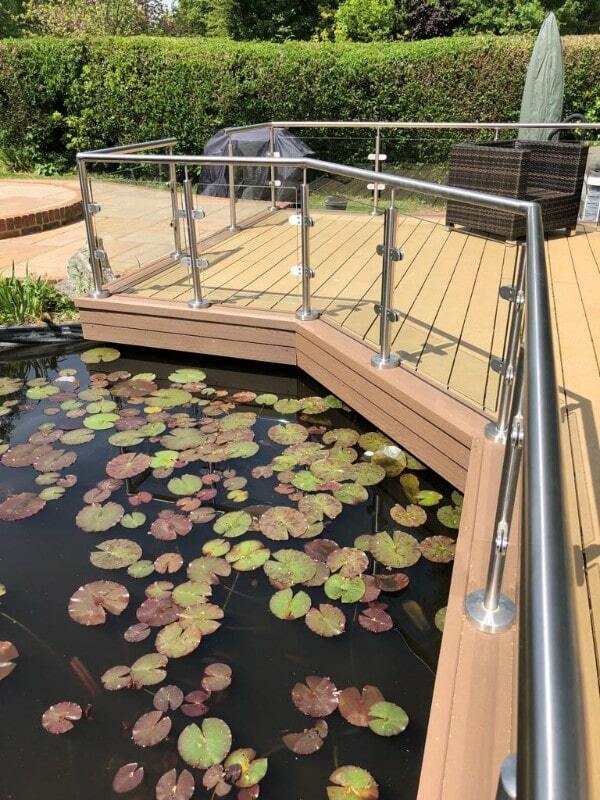 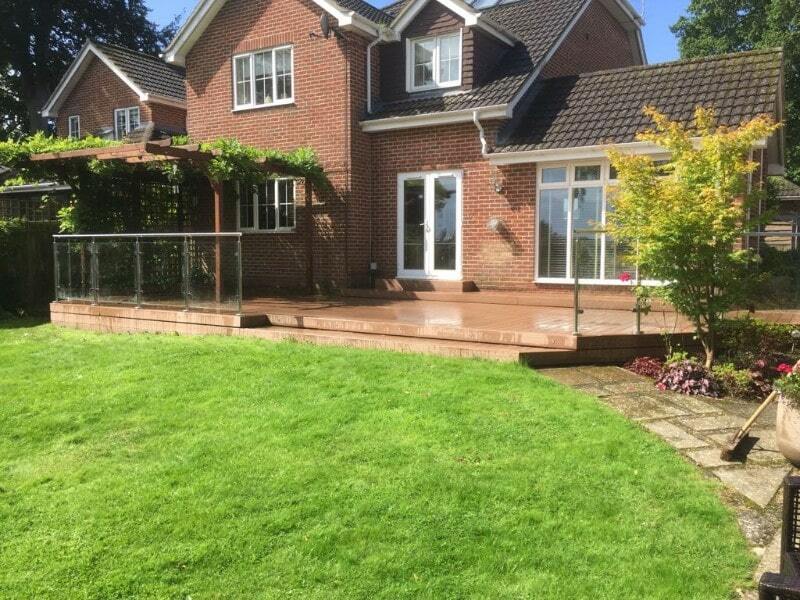 If your deck elevated you may need a hand-rail and balustrade system and we can advise on all types including glass, rope, timber and composite. 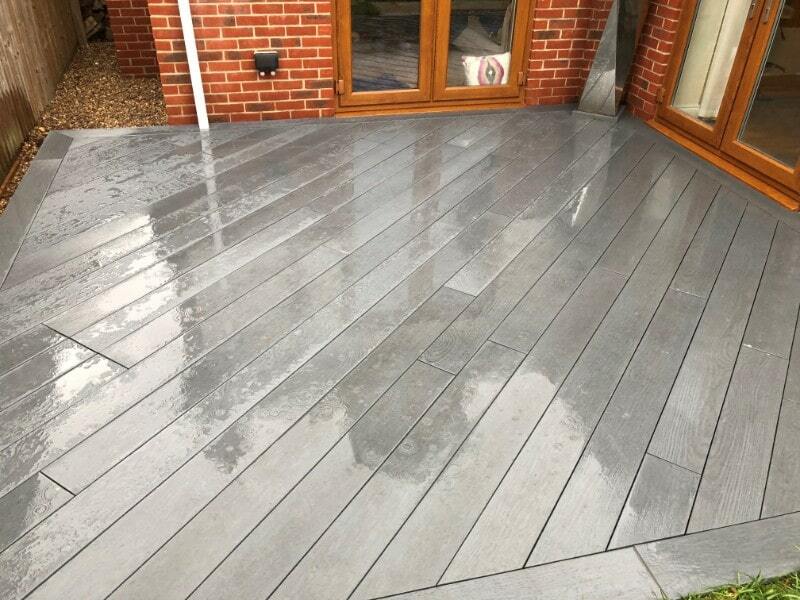 If you are looking for a low maintenance decking option that will last for many years you may have considered composite decking. 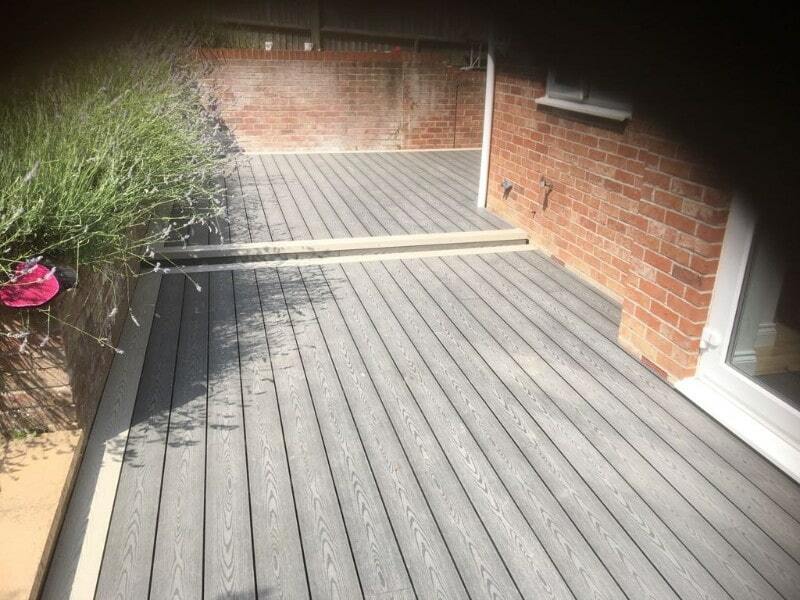 We are composite decking specialists and can install any product so if you have seen something you like please let us know. 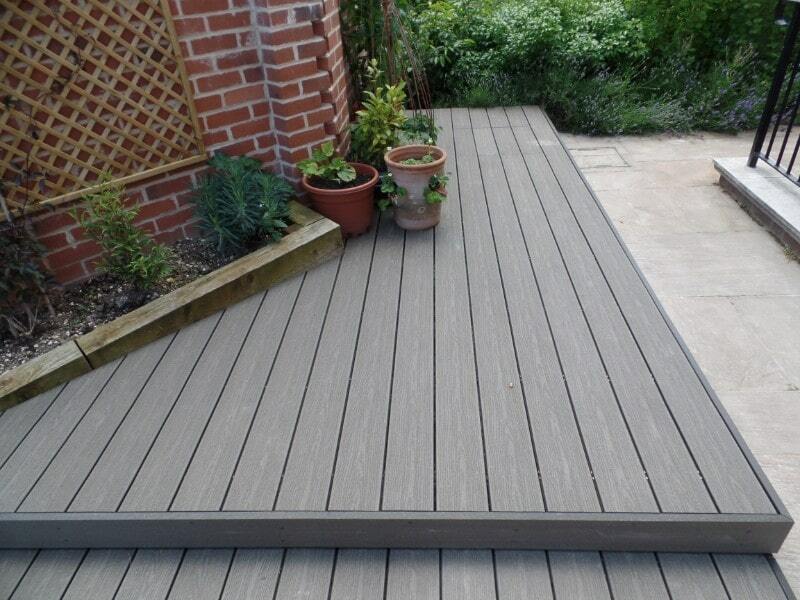 We can also recommend products and have ranges to suit all budgets and we are Millboard approved installers. 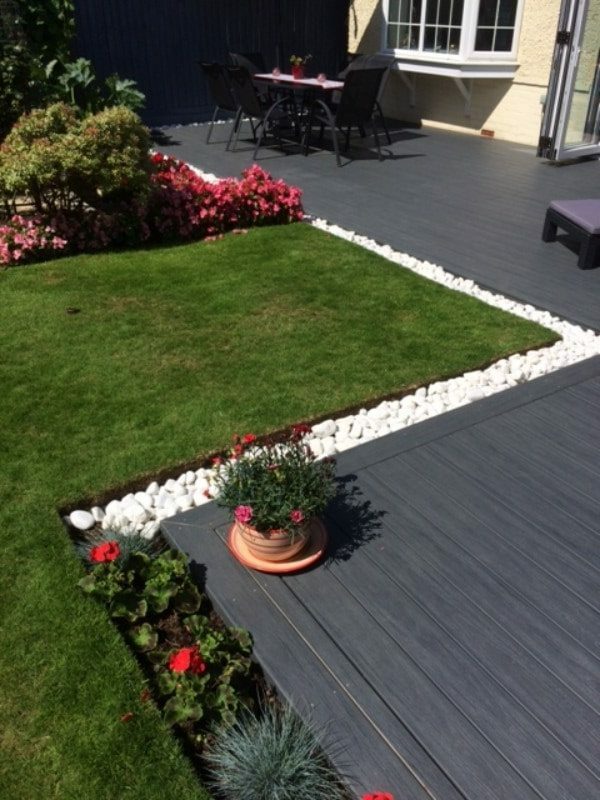 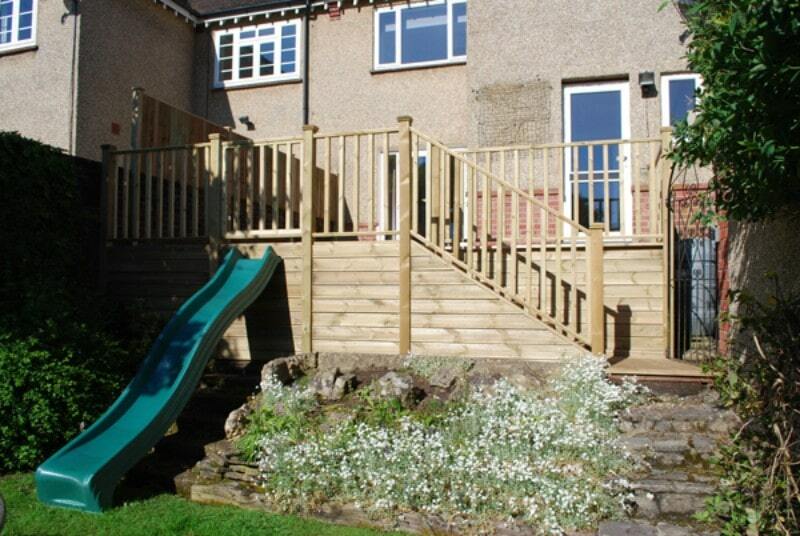 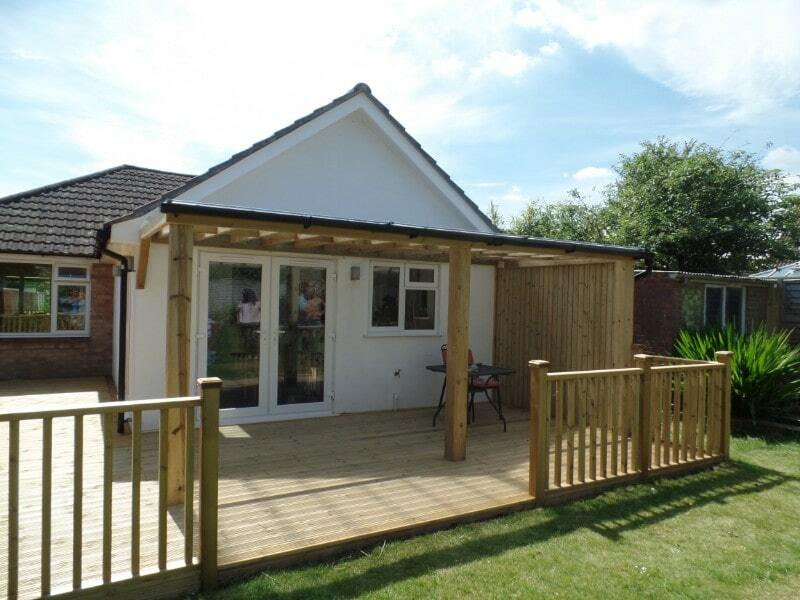 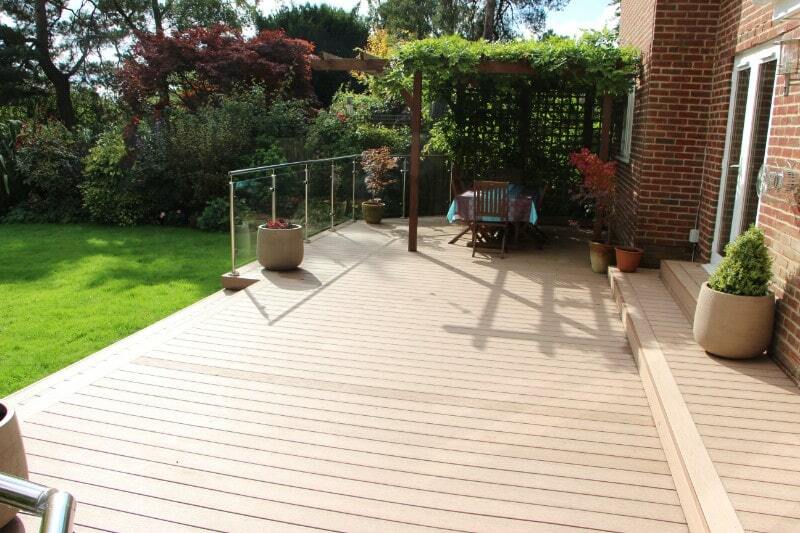 Composite decking is a big investment so we will offer help and advice to help you choose the right product. 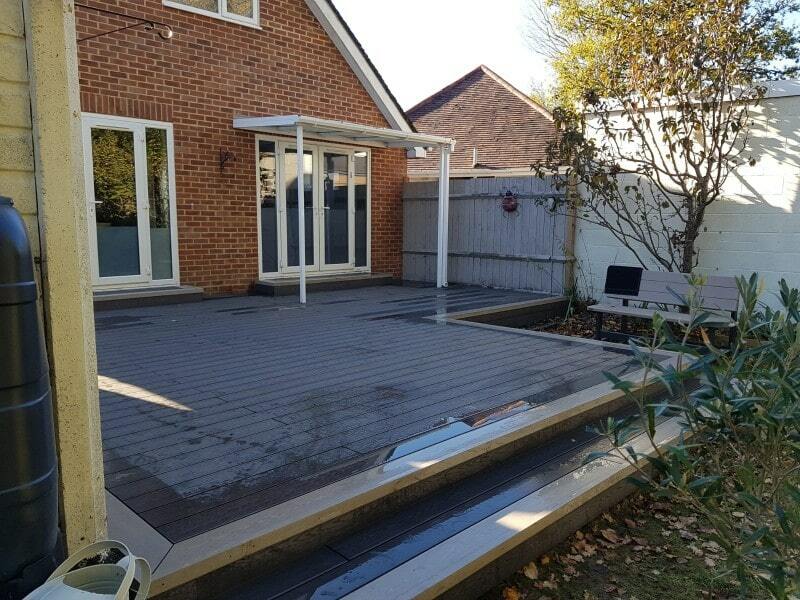 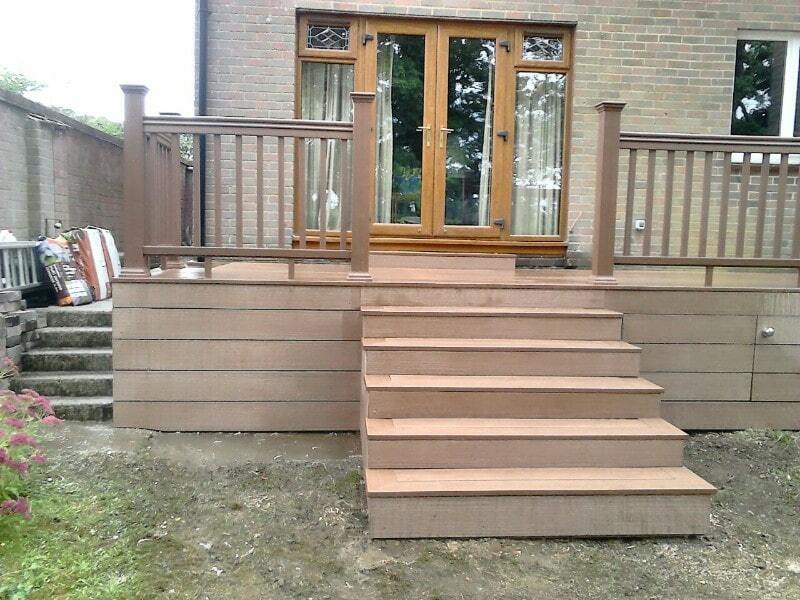 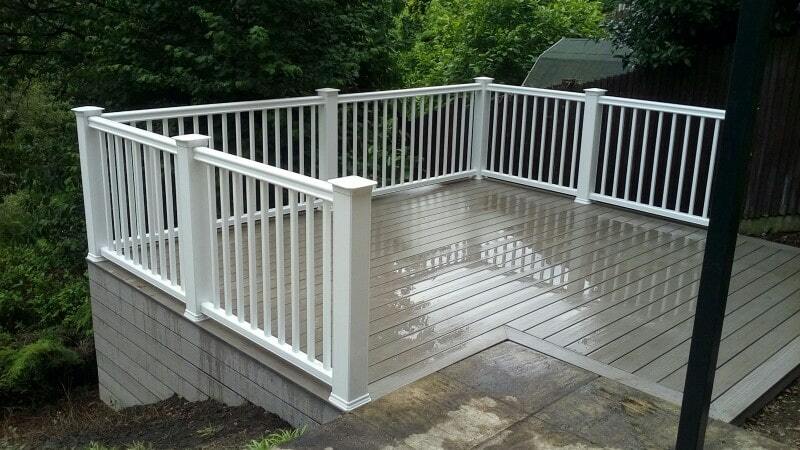 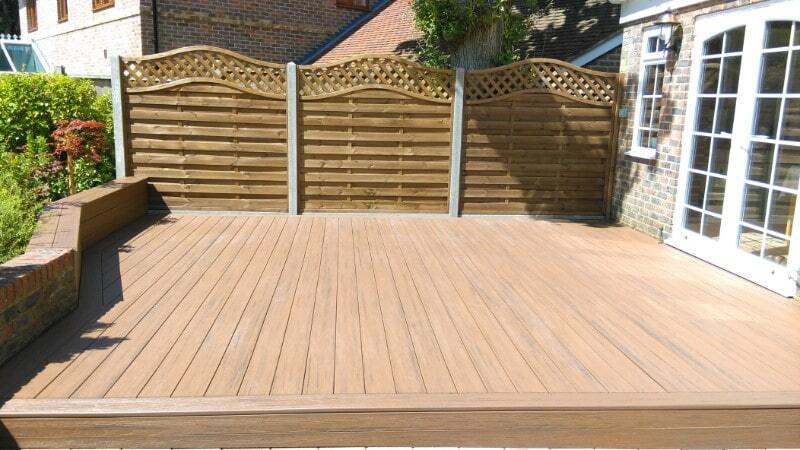 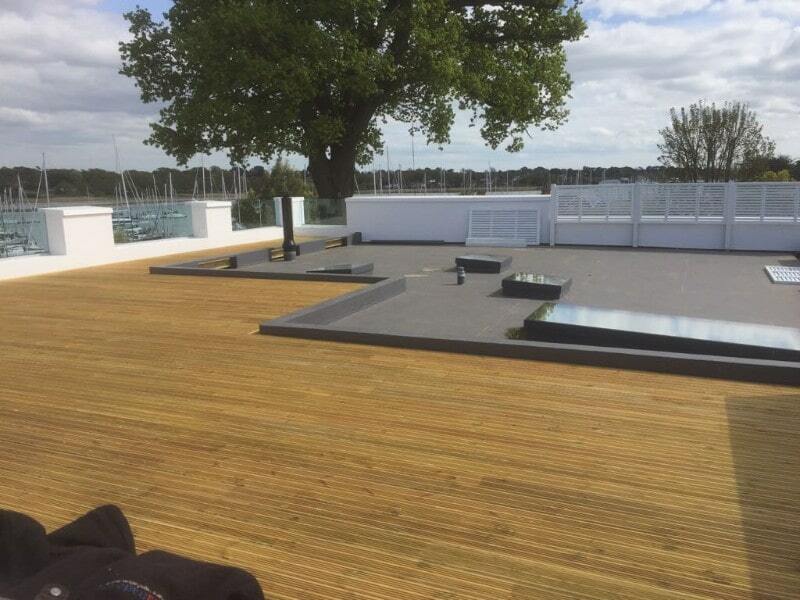 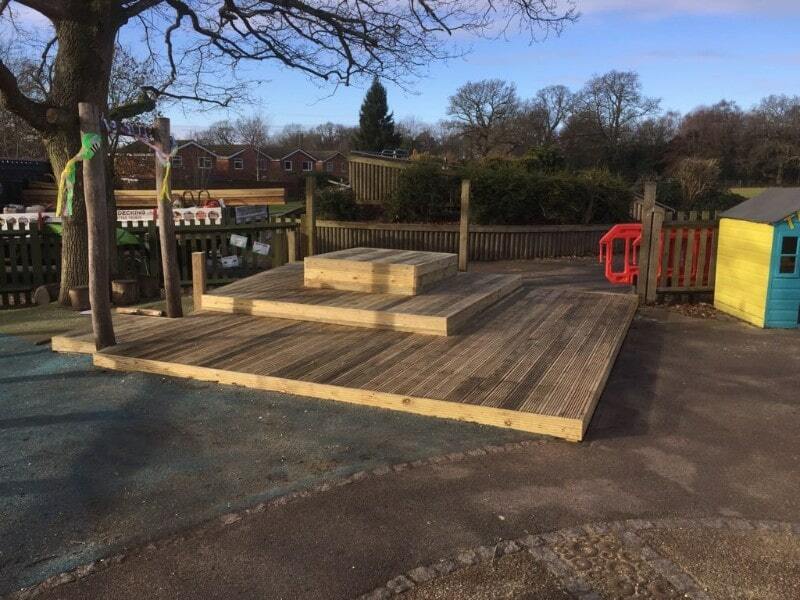 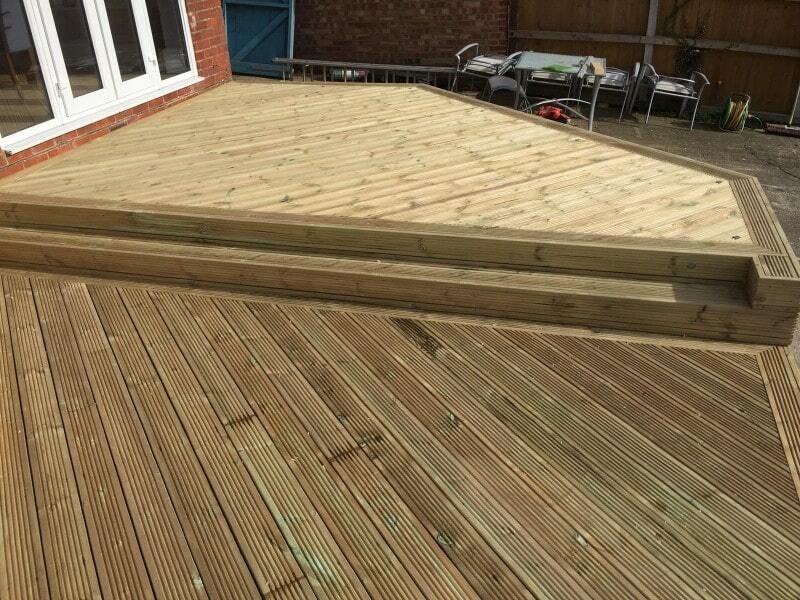 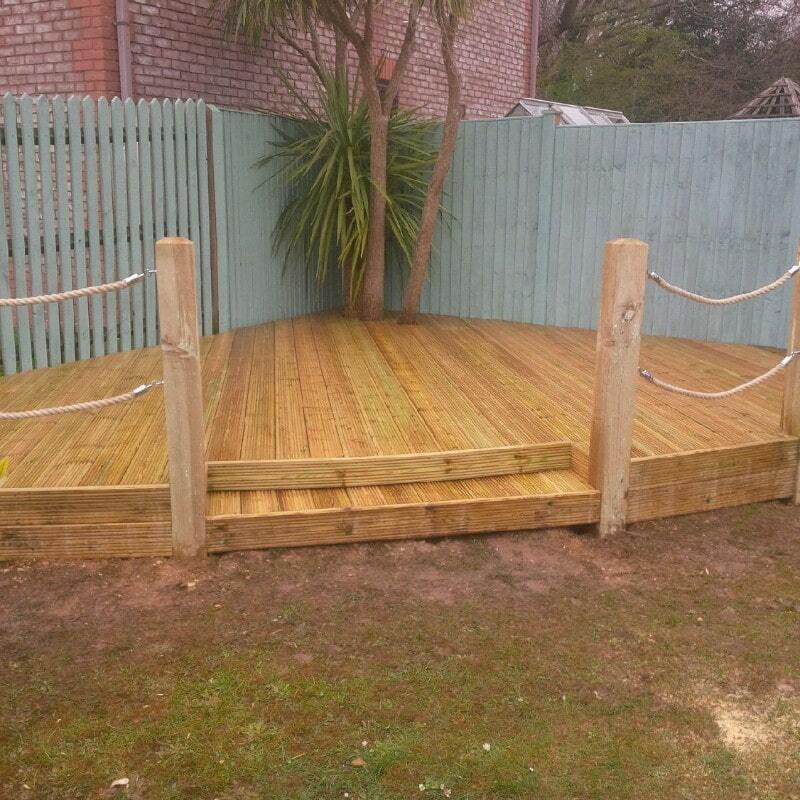 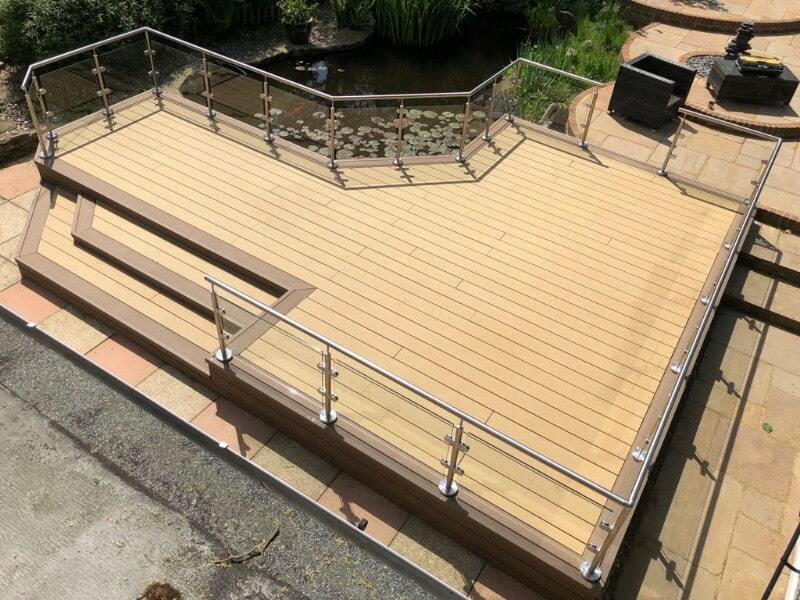 We can also offer a decking design service for larger projects to help you visualise the end result. 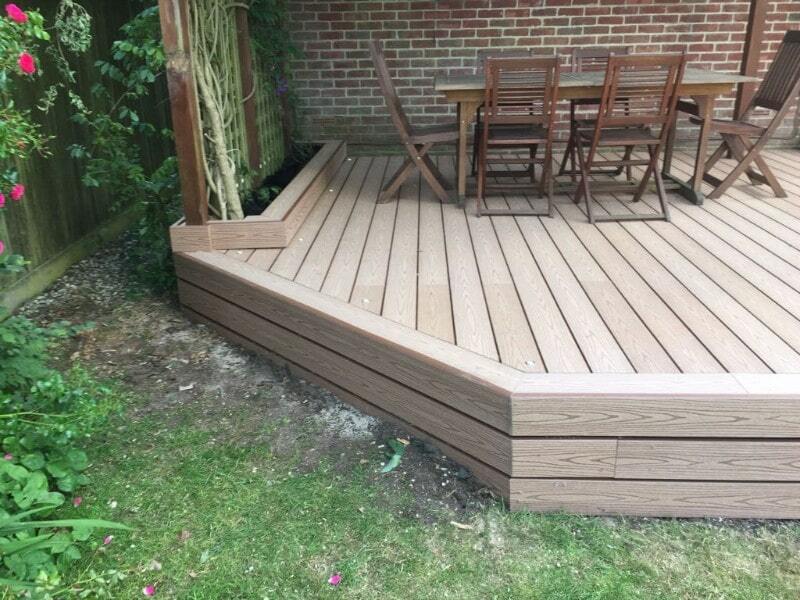 Despite the growing popularity of composite decking some people do prefer the look of natural wood and we work with both softwood and hardwood. 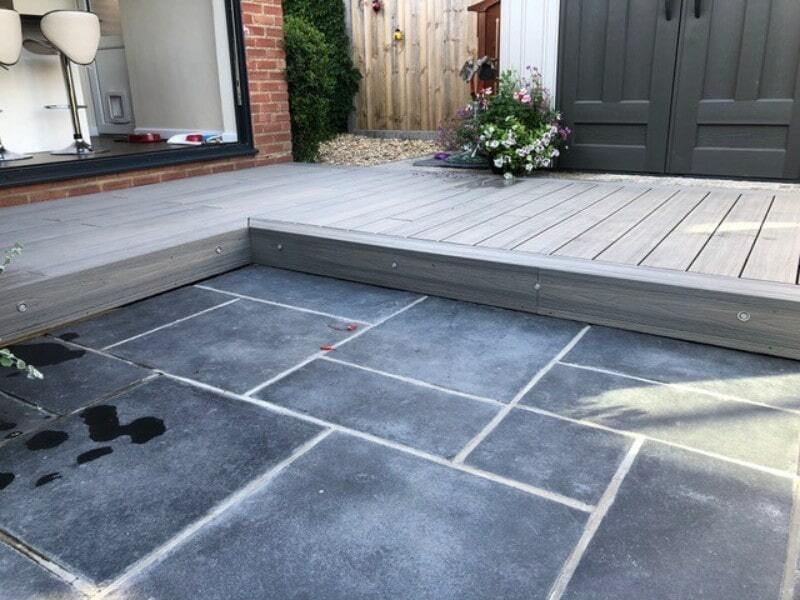 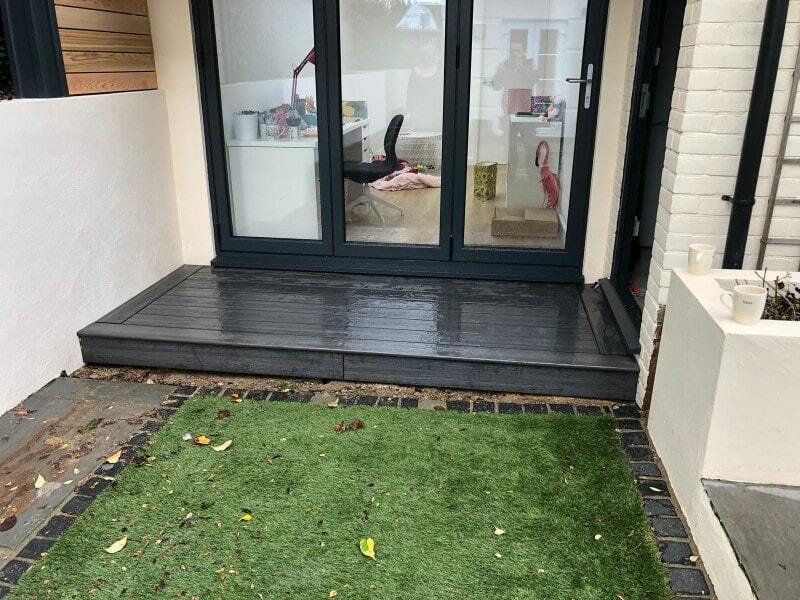 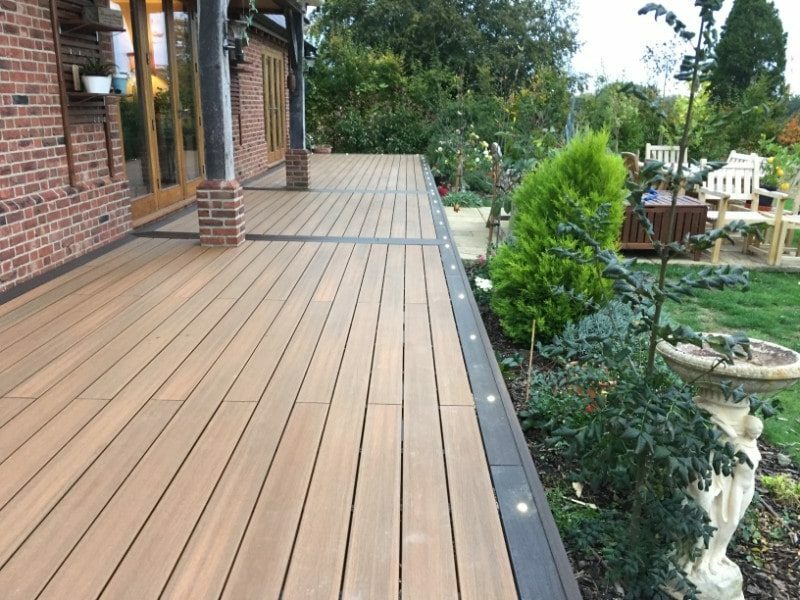 Although timber decking does require more maintenance we can give help and advice and can also apply an anti-slip treatment on completion with UV protectant. 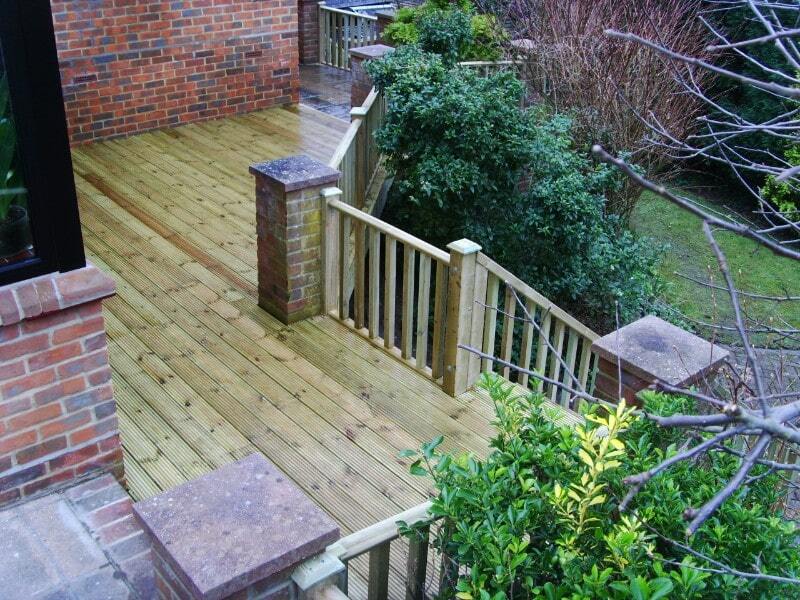 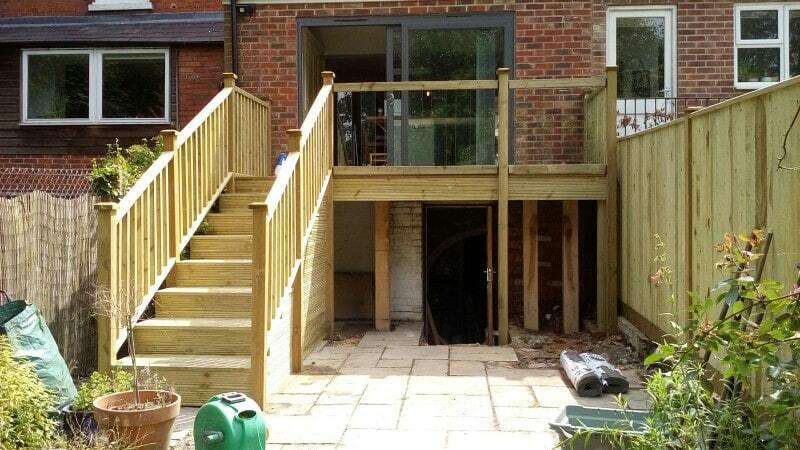 A well looked after timber deck will still last for many years.